Interview with Tim Behrens and Olivia Brownlee. 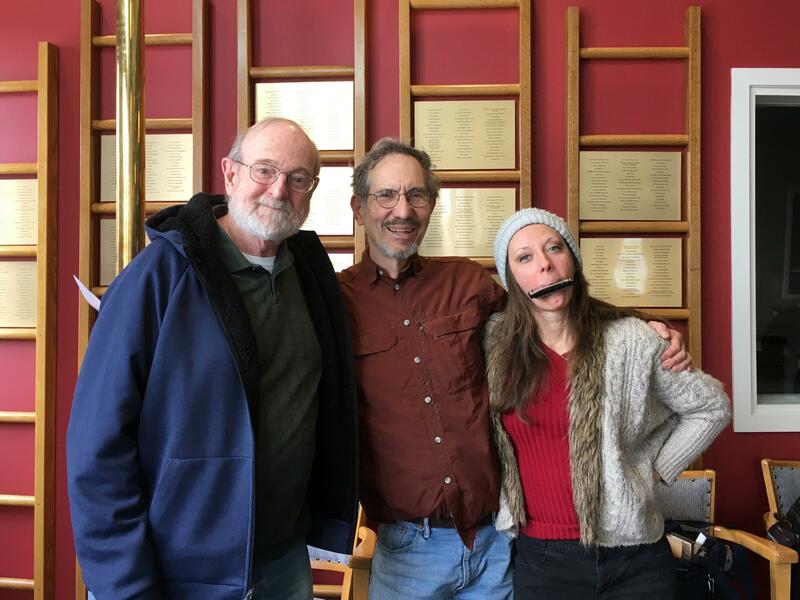 (from left) Tim Behrens, Verne Windham and Olivia Brownlee. The two Spokane performances will be at 7:30 PM—one on February 15 in the SCC Lair Auditorium, and the other on March 1 in the Opportunity Presbyterian Church—with two more shows at 7:30 PM on February 22 and 3 PM on February 24 in Sandpoint’s Panida Theater. We were proud to host in the studio today Stacey Connor and Elise Raimi, the co-producers of “Listen to Your Mother.” A live, staged event held every year on Mother’s Day, it features a group of locals telling their own original stories relating to motherhood. Auditions to participate in the performance will begin on February 16, and anyone may apply. For more information, visit listentoyourmotherspokane.com. From the Studio: Ignite! Community Theatre presents "Life Support"
We were delighted to have in our studio today Director Kathy Bowers and actors Pat Marvel and Tom Sanderson, who came to present the particulars of Ignite! Community Theatre’s upcoming two-person play. “Life Support” follows Carol (Pat) and Alan (Tom), a pair of strangers who meet in the waiting room of a hospital as their spouses undergo treatment for life-threatening conditions. Performances will be at 7:30 PM on February 8 & 9, as well as 2 PM February 10, with more shows each weekend through February 24. This production is suitable for general audiences.